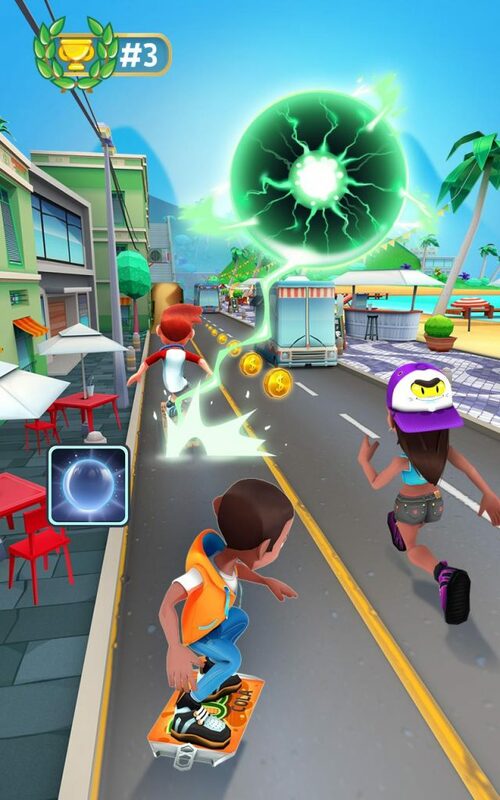 I am sure you guys remember endless running games like Subway Surfers and Temple Run! Not just remember, I think that some of you might still be playing those games regularly because they are a real stress buster and able to relax you within minutes. So, if you like such simple games that you can keep you busy for a long time, then we have yet another recommendation for you. 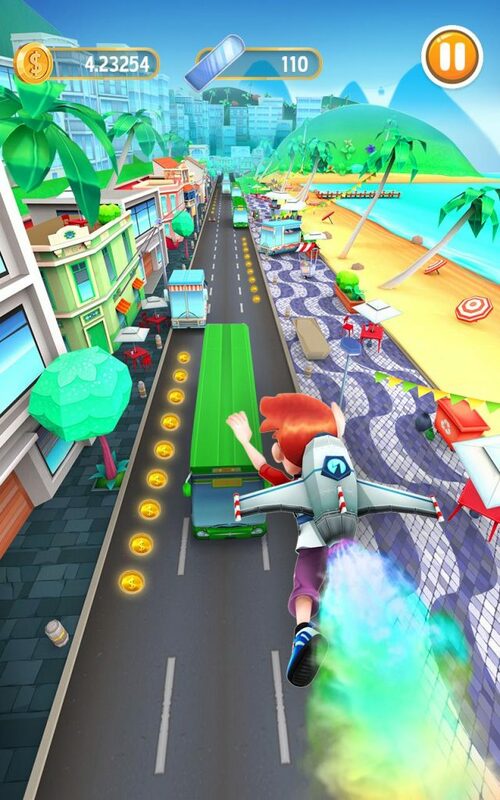 The Bus Rush 2 game is one of the latest games in the same category and follows the same gameplay concept of running for as long as you can. But there’s also a multiplayer mode involved that makes it unique from the rest of the games and gives you a new perspective to enjoy the game from. In this article, we are going to have a look at how to download and install Bus Rush 2 for PC using the best Android emulator software. The game is available in Google Play Store and can be downloaded on Android smartphones within minutes. Once you have the game installed on your smartphone or computer, you will be able to begin your run without any initial setup. The only thing you need to do is collect the coins and rubies in your path while avoiding all the obstacles like the buses that come in your way. Since the game is an endless runner game, there’s no end to how much farther you can go; but if you manage to go past a set limit, you’ll enter a bonus zone that is a skate park where you will be able to test your abilities. These kind of features are the ones that made Bus Rush 2 game one of the most popular games in recent months and we are going to have a look at some of them below before proceeding with the installation process. Free to Play: The game is not just free to download, but absolutely free to play as well. You don’t need an internet connection, unless you are playing the multiplayer mode, and there are in-app items that can be purchased with real money but they are completely optional. Multiple Characters: There ar e6 different characters in the game to play with – Roy, Zoey, Darryl, Katie, Shen and Ada. You can choose one from these characters before you begin your run. There are also quite a lot of customization options available, like new shirts, pants and shoes that you can purchase, to make your character look more unique. Multiplayer Mode: If you are tired of the endless running mode, or you think you have become quite the expert, then it’s time to enter the multiplayer arena and face off against real players from around the world. You will be collecting coins in your run, but you also have to collect powerful pickups in order to run past your opponents and win the race with ease. Several Power Ups: There are a lot of different kinds of power-ups available in the game. You will recognize the magnets, surfboards, jetpacks and boots but there’s also a new one called boomerang that you can use to collect more coins. There’s also an option to upgrade your jetpack for more power. Bonus Stage: If you run long enough in the endless running or the levels mode, you will enter a bonus stage which is a skating park where you can show off your abilities. You have to be agile enough to collect as many rubies as possible and once you hit your goal, you’ll get to open a chest that’s filled with tons of awesome rewards. Multiple Game Modes: The game has 4 different kind of game modes that you can enjoy. There’s the endless running mode, the levels mode, the multiplayer mode and also a mini game mode based on the classic snake game where you can collect a lot of rewards that can be used while playing the other modes. These are some of the features of the game that you should be well aware of before you start playing the game! Now that you’ve read what to expect from the game, we can move on to the next step and check out the guide to install the game on a computer or laptop. How to Download Bus Rush 2 for PC? If you’ve got an Android device, then you will face no problem whatsoever in downloading the game. You simply need to go to the Google Play Store and install the game from there. However, if you are looking for a way to play the game on your computer, then you need to first install an Android emulator software and then follow a similar method. There are several such emulators available, but in this article, we are going to focus on only 2 which are BlueStacks app player and Nox App player. These two are the best and the most popular emulators and they receive regular updates with new and improved features. You can choose any one of the below methods to download the game, so let’s get started! Next, you must login using your Gmail ID to authenticate your BlueStacks account, connect the emulator with the Google Play Store and complete the setup process. Type “Bus Rush 2” in the search box and hit the find button. Click on the first link which is of the endless running game. Type in “Bus Rush 2” and hit enter. Once you have completed following any one of the above methods, you will see the download process begin. It may take some time depending on the speed of your internet connection; but once the download process is complete, Bus Rush 2 for PC will be installed successfully. Now, all you need to do is go to the dashboard of the emulator software or to the App Center where all the installed apps and games are present and click on the icon of the game to launch it on your computer screen. There’s nothing to setup here as you simply have to pick a character and you can begin with your run. That’s the entire process on how to download and install Bus Rush 2 for PC using Android emulators like BlueStacks and Nox app player! I hope that you were able to download the game and loved playing it, and if you did, make sure to share it with your friends as well so that they can also enjoy a relaxing run.